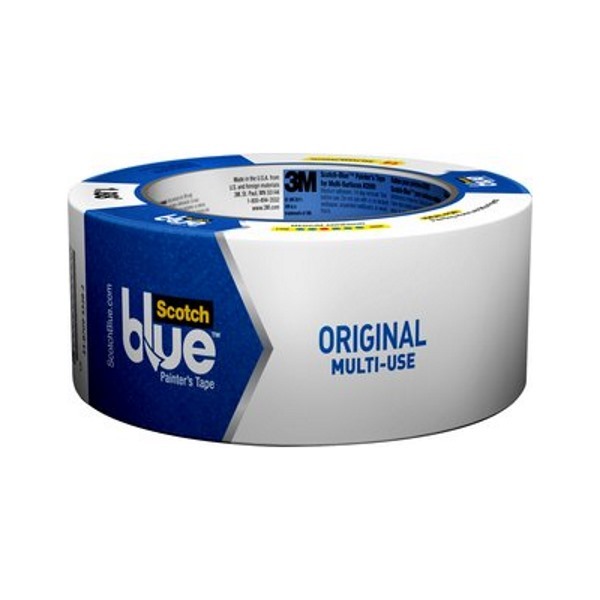 The original, best-selling blue painter's tape for use on a variety of surfaces. Easy to use and easy to remove without damage or residue. 60-yard rolls are sold in four widths. This long-favored tape produces sharp paint lines on multiple surfaces, including wood, glass, metal, curved or uneven surfaces, trim, and walls. It can be removed without leaving residue or causing surface damage. Available in ¾", 1", 1½", and 2" widths, in 60-yard rolls.